The filing season has now started for the first year under the new tax regime created by the Tax Cuts & Jobs Act. Corporate tax rates have been slashed from a maximum of 35% to a flat 21%. To put small businesses on an even playing field, a 20% deduction was added for businesses operated as S Corps, partnerships, or sole proprietors. 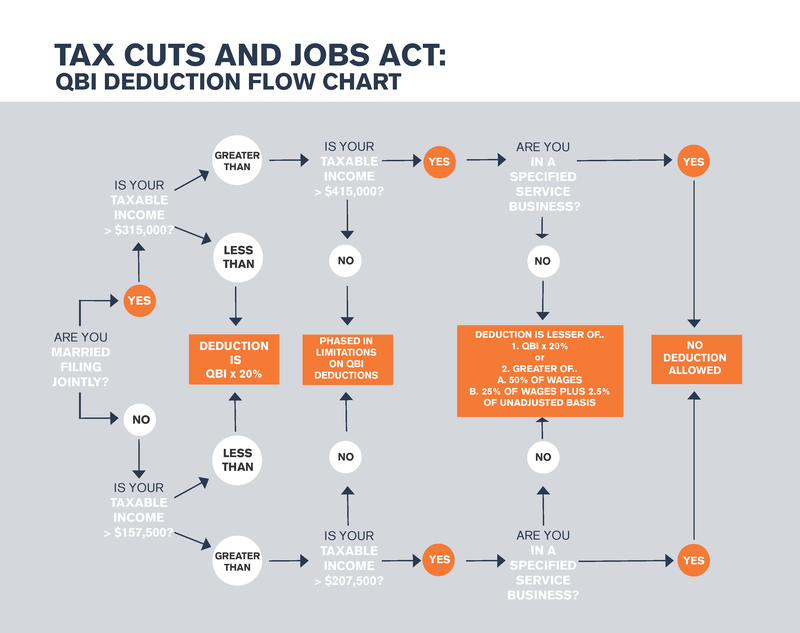 However, there are many limitations and qualifications that you must go through before taking the deduction. Below is a flowchart to assist you in that decision. Check with your Tax Advisor with any questions, or click the button below and we'll be glad to assist you!